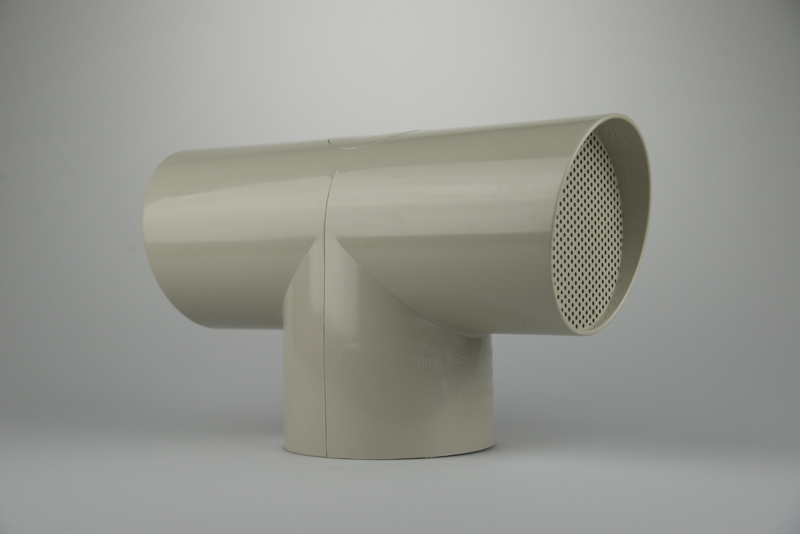 Low flow and passive activated carbon filters come sized to accommodate various airflows, measured in cubic feet per minute (CFM). Use the links above to categorize filters by airflow. Septic odor and sewer odor are a problem for many homeowners and municipalities. The hydrogen sulfide and other contaminates that comprise sewer gas also create an unhealthy living environment (see sewer gas safety data sheet). 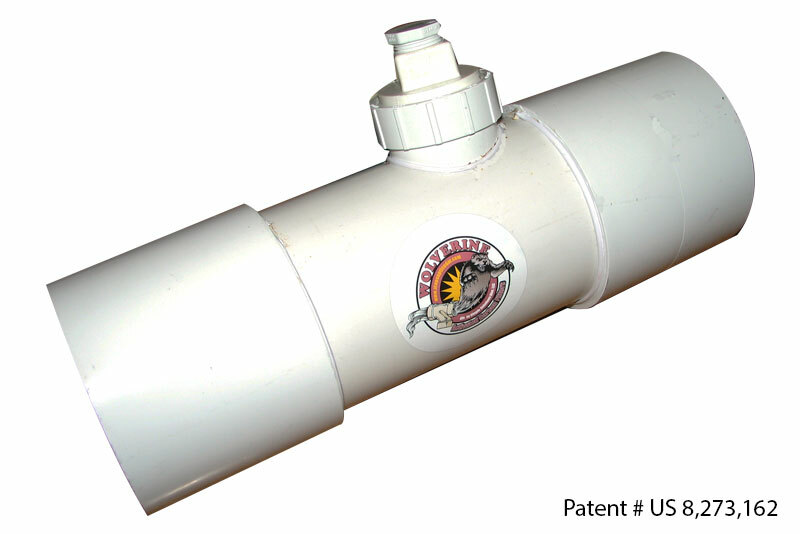 Simple Solutions manufactures a line of activated carbon filters for the full range of sewer and septic systems. If you are having an odor problem from your sewer line, septic vent, or roof vent, IndustrialOdorControl.com has a solution for you. The Wolverine brand of odor control filters are also used in industrial applications to remove odors and harmful gasses generated during production such as bio fuel plant cooker vents and laboratory vents. Our filter housings can be matched with a specialty carbon for your specific adsorption needs, such as our HS-600 Potassium Permanganate. The Wolverine brand of odor control products most common use is in the wastewater industry. IndustrialOdorControl.com has filters for every phase of a wastewater system. So whether your odor is coming from a house plumbing vent, yard-based septic vent, restaurant grease trap, municipal lift station, air release valve or manhole opening, IndustrialOdorControl.com has the right filter for you. 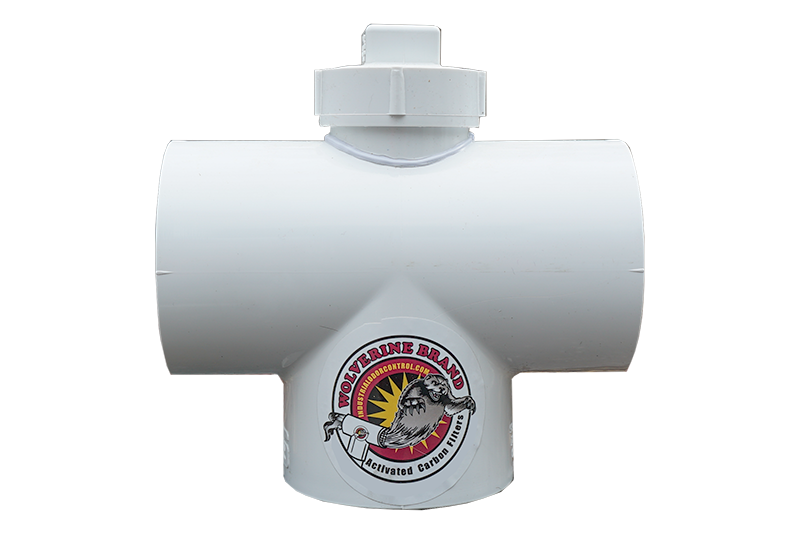 The Wolverine Brand of Odor filters are available in various sizes and configurations from lateral filters designed to go on the end of candy-cane filters, inline filters for installation in an attic or our most popular design, our patented “T” style filters for home vents, septic vents and lift stations. Our Patented “T” style filters act like a rain cap, and due to its patented cross flow design helps “wick away moisture eliminating frost hoaring in the winter and carbon caking in the summer. No other product on the market can say that about their filter design. 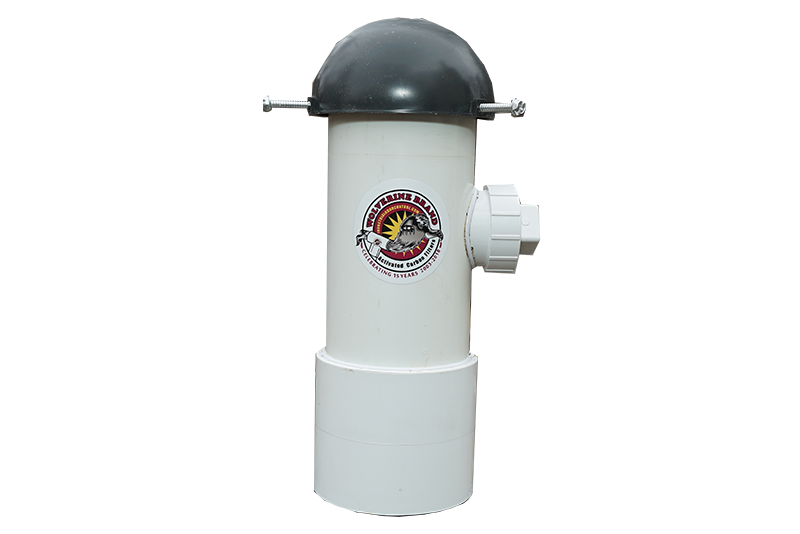 IndustrialOdorCOntrol.com offers homeowner filters in both an economical molded design, the WLV-4 for under $45.00, or a heavy duty schedule 40 model so regardless of your budget you don’t have to suffer with those terrible vent odors that are sure to ruin your BBQ.